Adobe Brio is the codename for the next generation of Acrobat Connect. Brio is a web meeting service built with collaboration in mind for individual professionals and small businesses. With Brio, you can instantly communicate and collaborate through an easy-to-use, easy-to-access online personal meeting room. 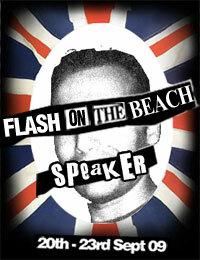 Tomorrow I'll have two speeches at the FromAToWeb Conference. 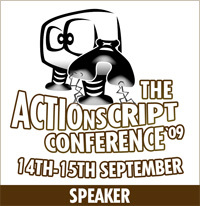 This is one of my favourite conference bacause it reminds me when I was a consultant for Macromedia. If I remember well, it was the first conference in Italy I attended as speaker. I'll talk of Spry, use the AIR Dreamweaver CS3 Extension and the Adobe AIR Update for Adobe Flash CS3 Professional beta 2, some and comment some great AIR Applications. Very interesting stuff, guys ! 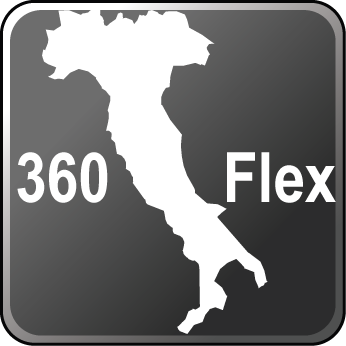 Tom Ortega, published an interesting post where is asking to 360Flex Conference's past/present/future customers any feedback to make the conference better ! See the live results of the survey ! Adobe MAX Barcellona, a sangRIA conference ! The Adobe MAX Barcellona ends and they were 3 amazing days. The MAX Conference is a great conference for networking, meeting new people, old friends, attending great sessions, and talking to the gurus ! It was a pleasure to be part of this great event. Have also a look at the photos published by my friend Pablo Parrado. Pay attention to the photo where Sumi Lim (Developer Relations, EMEA) is dancing new york style salsa :) She looks pretty good ! Sorry for not being more precise but the Flex 3 Open Source session is about to begin (by Matt Chotin) and I don't want to miss it. The Welcome Party has ended and all is ready for the first day of the Adobe MAX Conference in Barcellona. Adobe has announced a brand new Adobe Developer Center renamed Adobe Developer Connection. The new site has a lot of well organized information and resources you can connect to. In a one page application you can access to the whole Adobe's world content : rss feeds, articles, newsletters, the edge magazine, code and salmples application, flex cookbook, css advisors and so on ! Have a look at it !